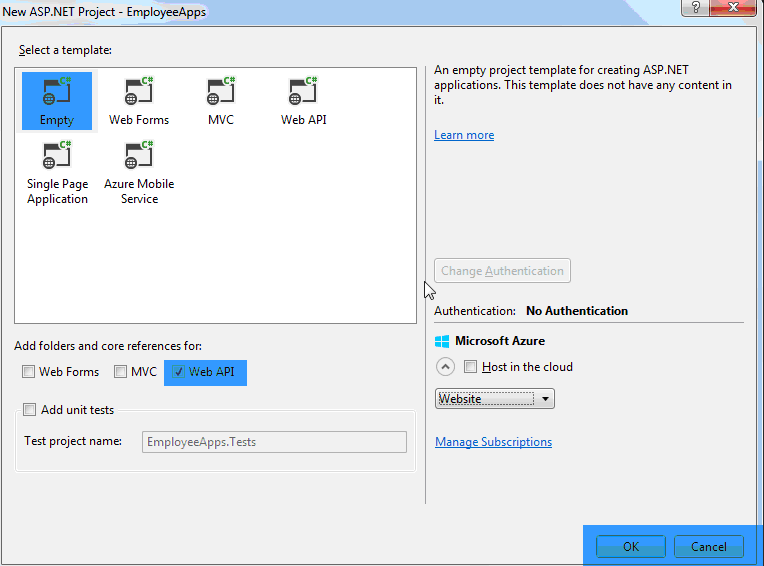 This article explains the ASP.NET Web API and shows how to implement a sample employee application using Visual Studio 2013. 3. 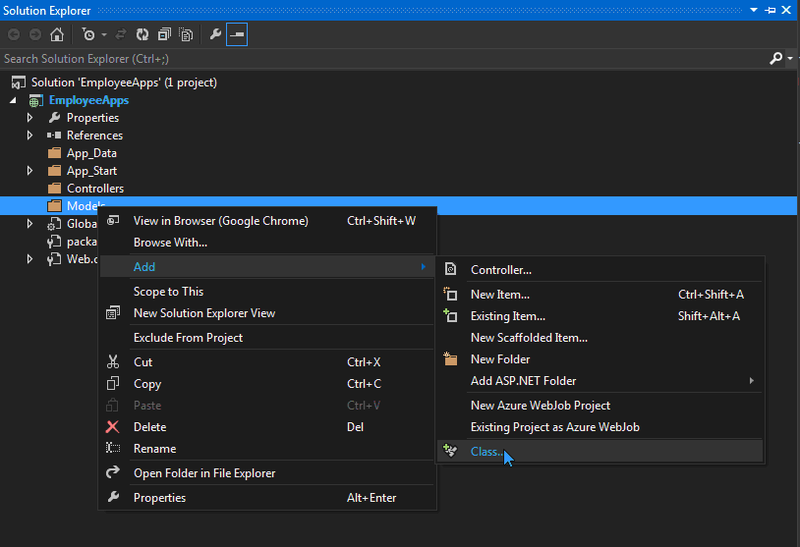 You can select an installed template under the Visual C# and select Web option. 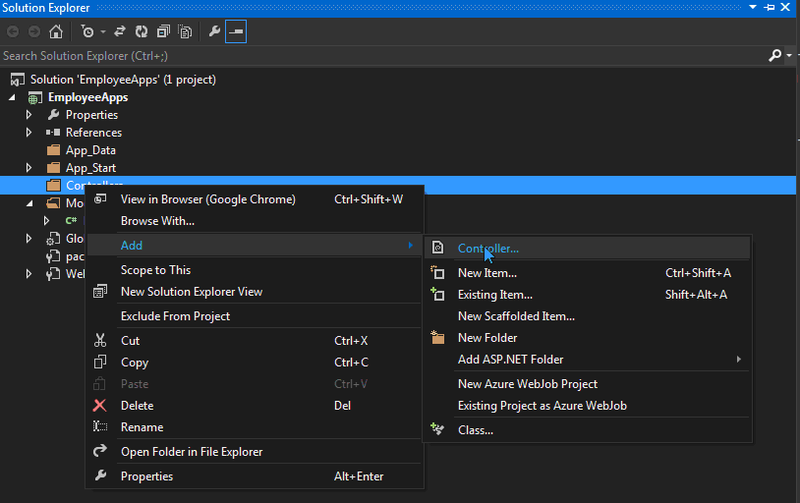 Then select ASP.NET Web Application. Then enter the application name, location then Click the OK button. 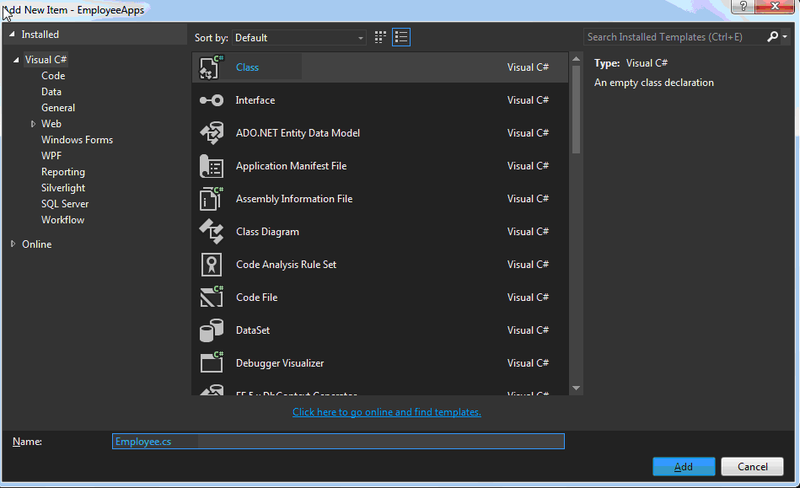 5. you can then see the solutions explorer as in the following. 6. 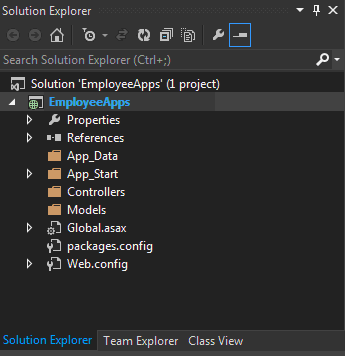 Go to the Solutions Explorer and right click the Models Folder then select Add into adding model in your project. 8. 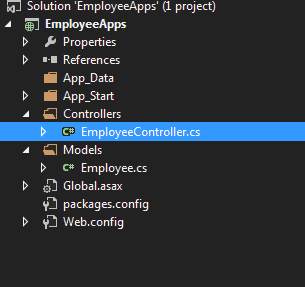 Go to the Solutions Explorer and right click the Controller Folder then select Add into adding Controller in your project. 9. 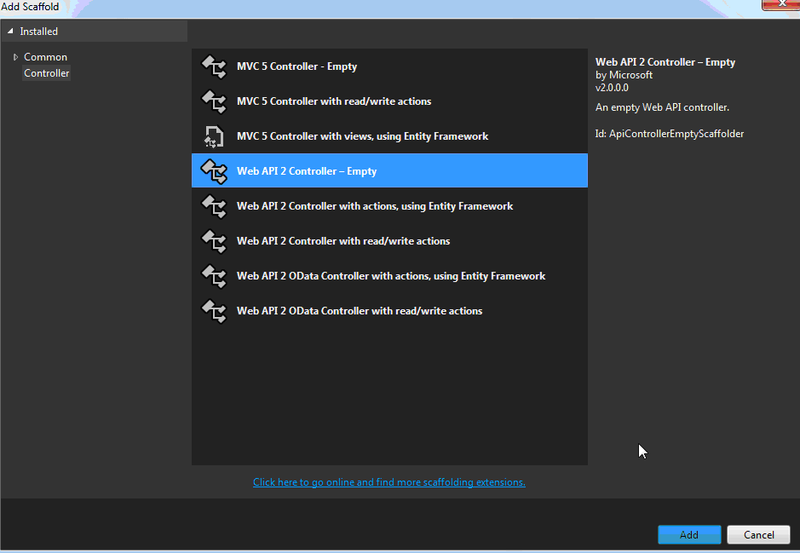 Now, you can select Web API2 Controller – Empty and Click the Add button. 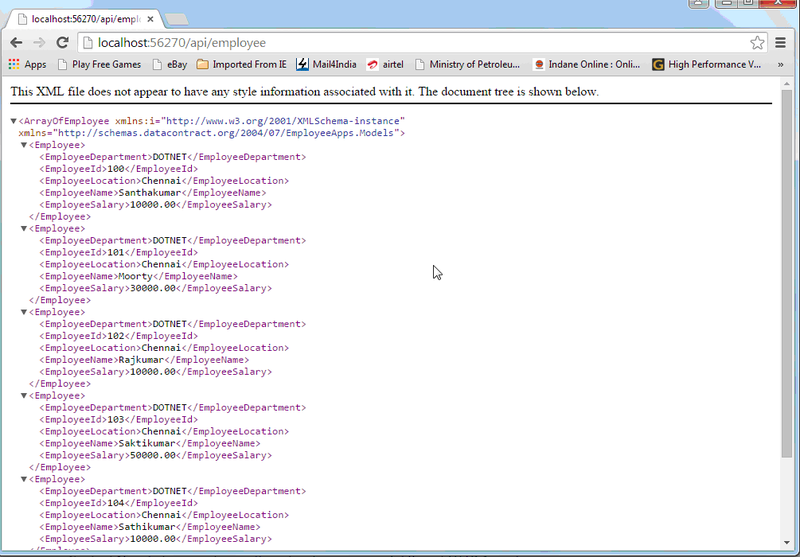 10. you can enter the controller name “EmployeeController” and Click the Add button. 11. you can then see the solutions explorer as in the following. 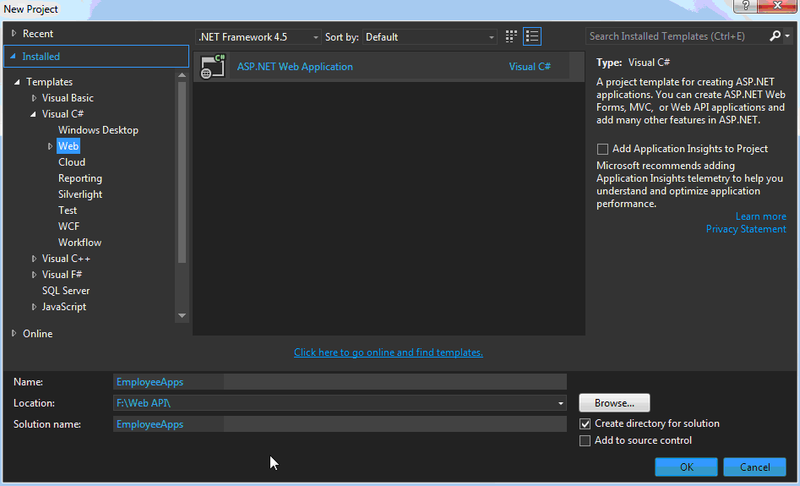 This article helps you to understand the ASP.NET Web API and its implementation in Visual Studio 2013. Thank you for reading my articles. Please kindly share your valuable comments and suggestion with me..